In today’s busy, digital world, there’s nothing quite like a handwritten note is there? What is written from the heart, goes straight to the heart. 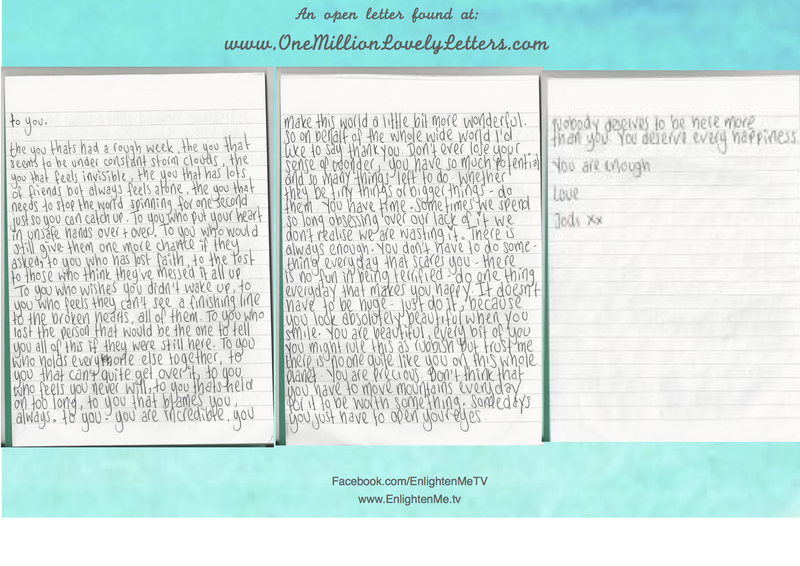 Posted on August 16, 2015, in Confidence Boosters, Private Worlds, Surprise Me... and tagged inspiration onemillionlovelyletters letters handwritten letters made with love handmade made with love heartfelt from the heart heartbreak confidence booster you are not alone. Bookmark the permalink. 1 Comment.